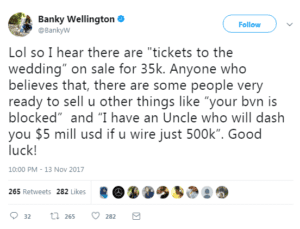 Wait, is someone actually trying to sell tickets to Banky W and Adesua Etomi’s wedding? Well, Banky W has just reacted to that via his twitter handle. 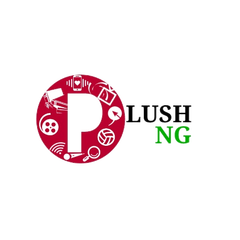 The wedding between singer, Banky W and actress Adesua Etomi is the most talked about wedding this year and is set to hold this month.